We’d love your help. Let us know what’s wrong with this preview of The Last Queen of England by Steve Robinson. To ask other readers questions about The Last Queen of England, please sign up. How much graphic or explicit content (if any) is in this book? Asking for a recommendation. Thanks! Sonnet Fitzgerald There is no sexual content or explicit language at all. Violence is moderate with no graphic descriptions. There are descriptions of gunshots, heart…moreThere is no sexual content or explicit language at all. Violence is moderate with no graphic descriptions. There are descriptions of gunshots, heart attacks, car crashes, and poisonings. There are two references to torture but they are neither focused on nor described in detail. I'm the author of this book. This is the third Jefferson Tayte genealogy-themed mystery book in the series. This time Tayte doesn't have an American client whose family tree he is researching, but rather is visiting his friend in London, when his friend is killed and he finds himself following the trail of his friend's research. Like both the other books in the series, the writing is excellent--characters and settings feel real, dialogue sounds genuine, the pace was great. Tayte is a great character, and I can't wait to fin This is the third Jefferson Tayte genealogy-themed mystery book in the series. This time Tayte doesn't have an American client whose family tree he is researching, but rather is visiting his friend in London, when his friend is killed and he finds himself following the trail of his friend's research. Like both the other books in the series, the writing is excellent--characters and settings feel real, dialogue sounds genuine, the pace was great. Tayte is a great character, and I can't wait to find out what surprises his own family tree holds! American genealogist and man of mystery Jefferson Tayte has a rather different and much more personal assignment in this latest book. Steve Robinson has previously given us a past and a present narrative, woven together with great skill, but this time the action all takes place in present day London. His friend Marcus Brown has been tracing the families of five people hanged in the reign of Queen Anne and JT and a history professor friend of Marcus Brown’s become embroiled in the spin-off, poten American genealogist and man of mystery Jefferson Tayte has a rather different and much more personal assignment in this latest book. Steve Robinson has previously given us a past and a present narrative, woven together with great skill, but this time the action all takes place in present day London. His friend Marcus Brown has been tracing the families of five people hanged in the reign of Queen Anne and JT and a history professor friend of Marcus Brown’s become embroiled in the spin-off, potentially fatally. It’s wonderful to get closer to the true feelings of our ‘loner’ hero and to feel his passion for his subject and for his friend Marcus. We also feel him grappling with his own insecurities, his shyness, his social ineptitude, as he warms to a new friend. Steve Robinson takes a slightly different tack with this new book in that he takes the reader through a historical puzzle which is intriguing and complex. His story telling abilities are as sharp as ever and JT doesn’t work this job alone. We are introduced to an intelligent and feisty companion for this story. We are in the realms of major conspiracy theory here – and I do love a conspiracy theory. It’s not the sort of puzzle with a pat answer and we have loose threads left at the end which hint of further intrigue to come. I, for one, can’t wait! Find an eye-catching historical fact (such as Queen Anne experiencing 18 pregnancies, but having no child live beyond the age of eleven and none survive her); discover that a group of respected intellectuals were executed towards the end of her reign under mysterious circumstances; create a conspiracy theory that proof of the invalidity of the current monarchy, having been passed down the generations, is about to be used by republican sympathisers, and we should have the basis of a very readable Find an eye-catching historical fact (such as Queen Anne experiencing 18 pregnancies, but having no child live beyond the age of eleven and none survive her); discover that a group of respected intellectuals were executed towards the end of her reign under mysterious circumstances; create a conspiracy theory that proof of the invalidity of the current monarchy, having been passed down the generations, is about to be used by republican sympathisers, and we should have the basis of a very readable novel. So it proves. I enjoyed this action-packed thriller set against the background of a murderous genealogical mystery that has to be solved within tight deadlines. After surviving numerous attempts on his life through three novels, Mr Tayte is proving as hard to kill as James Bond. May he last as long. A genealogical plot about a potential conspiracy in 1700 about the line of succession of the British monarchy - an overly complex plot with multiple players then follows a series of murders, turning into a violent thriller where genealogy seems only a bit part. Not was good as his previous book, in my view. The Last Queen of England is one of the books chosen for September, in the Book Club I belong to here on GRs (L & E Bookclub). What a book! I cannot say I understood it all (how they worked out the ''ahnentafel'' and the various anagrams so fast) but I have learned a lot of things about British History just by reading it. You can see that the author has made a laborious research to have an accurate story. Oh my, this is conspiracy theory at its best. I will not go into details with the plot, The Last Queen of England is one of the books chosen for September, in the Book Club I belong to here on GRs (L & E Bookclub). Oh my, this is conspiracy theory at its best. I will not go into details with the plot, but lets say that this is one of the best thought conspiracy I have read lately. I also like the fact that Tayte is not a beefy, 6 packs hero and Jean, the professor, is not described like an Hollywood startlet. I also liked Detective Fable. This book is so authentic and real. It seems to me that either it finished on a slight cliffhanger, or, the theme will be back with the same people in another stories. There are a few loose end, like devious, slimy Michel Levant. Oh, he is gross (not gross as in disgusting but gross as in unbelievable big headed and self conceited )! This is definitely one of the best books I have read all year! I am becoming a huge fan of JT and I am eagerly awaiting his next adventure already! JT is in London and meeting up with an old friend, who is attempting to set him up with a history expert (Jean). It is after their meeting that things start going terribly wrong, both JT and Jean are in danger and to figure it out who is behind it JT and Jean have to delve into both history and genealogy to get to the root of the scandal and if possib This is definitely one of the best books I have read all year! I am becoming a huge fan of JT and I am eagerly awaiting his next adventure already! JT is in London and meeting up with an old friend, who is attempting to set him up with a history expert (Jean). It is after their meeting that things start going terribly wrong, both JT and Jean are in danger and to figure it out who is behind it JT and Jean have to delve into both history and genealogy to get to the root of the scandal and if possible, try to predict the culprits next move. This is more than hidden family secrets, if JT does not get the answers in time, people die. Robinson keeps the excitement high in this story so you never leave the edge of your seat, I couldn’t put it down and read it much quicker than I expected to because it is just THAT good. If you buy this you won’t be disappointed, especially if you have read the previous 2 books in the series. The author is getting better. This is the third book in the series. JT Tayte uses his genealogical skills to solve a puzzle amongst murder and mayhem. I hope there is at least one more in the series, as I want to know what is in the safe deposit box that will solve his biggest mystery of all. I bought these books on my Kindle. I needed something that was not too expensive to buy and a fast read. I have read other genealogical mysteries. Again, I enjoyed the journey. The Last Queen of England is the 3rd in the Genealogical Crime Mystery series, and I enjoyed every minute I spent reading it. Not only was the historical aspect interesting and enlightening, but Jefferson Tayte's genealogical investigation and his attempts to get away from the criminals were truly breath-taking. I'm glad I discovered this author, and hope he writes many more novels. I love the JT books and have always given a 5 star rating but much as I enjoyed this I thought it not as good as the others it got a little bit boring in the middle being a bit too technical. This was my fist Jefferson Tayte novel. He is the main character in Robinson's historical fiction series. Tayte is 40 year old genealogist who evidently solved old family mysteries, In this case, the question is whether Queen Anne, the last of Stewart line, died without issue. In real history the Hannover succeeded Anne, and that is line still on the British throne today. Spurned on by the death of a close friend, Tayte and his new female companion, Jeanne set out to solve this genealogy mystery This was my fist Jefferson Tayte novel. He is the main character in Robinson's historical fiction series. 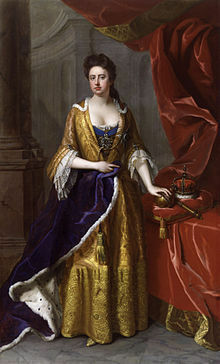 Tayte is 40 year old genealogist who evidently solved old family mysteries, In this case, the question is whether Queen Anne, the last of Stewart line, died without issue. In real history the Hannover succeeded Anne, and that is line still on the British throne today. Spurned on by the death of a close friend, Tayte and his new female companion, Jeanne set out to solve this genealogy mystery. As an aside, the female character in this book has the worst maternal instincts, Cersi Baratheon has more maternal yearningsTypical gun play and car chases ensue. I wonder if the Harvard History Department offer their grad students offer classes on evasive driving techniques and 101 ways to lose a tail. Destinations include a series of archives, cathedrals and churches, narrowly escaping gun toting bad guys at each turn. While an easy read, this book falls into all the same historical fiction tropes that Dan Brown set out over a decade ago. Jefferson Tayte is infinitely more likable than Robert Langdon, but is still insufferable at times. He is always the smartest guy in the room and has a single, damaged, female partner he only just met in the first chapter. YAWN. . And like apocalyptic move directors and other alternate historical fiction writers, Robinson doesn't have the nerve to fully execute his mystery. In fact, the end of this book was particularly anti-climatic. Dan Brown look out! The new kid on the block has arrived! The Last Queen came across the screen of my Kindle as a suggestion. To my surprise, I took it, bought it, pressed read now, and never stopped until I finished. The ultimate villain...The side kicks....The love interest....and the American favorite, it seems, a British royal angle. The beginning seemed like a standard murder-mystery, quickly evolving into something much more complicated. Add a totally off the wall love affair (or at least, Dan Brown look out! The new kid on the block has arrived! The Last Queen came across the screen of my Kindle as a suggestion. To my surprise, I took it, bought it, pressed read now, and never stopped until I finished. The ultimate villain...The side kicks....The love interest....and the American favorite, it seems, a British royal angle. The beginning seemed like a standard murder-mystery, quickly evolving into something much more complicated. Add a totally off the wall love affair (or at least, potential burgeoning love affair), a few chases of multiple types around London, and after an apparent ending, a little "oops, I forgot...just this little bit so you can wonder...". Until this year the writer was previously unknown to me, and now I have just finished this 3rd book in the Jefferson Tayte series in quick succession. This book is slightly different to the previous two, in that it blends past and present into a continuous tale all set in the present day. JT is in London for a genealogy conference, rather than tracing an American client's family history, when his friend and mentor is gunned down in front of him. This causes JT to pick up the reins of his friend' Until this year the writer was previously unknown to me, and now I have just finished this 3rd book in the Jefferson Tayte series in quick succession. This book is slightly different to the previous two, in that it blends past and present into a continuous tale all set in the present day. JT is in London for a genealogy conference, rather than tracing an American client's family history, when his friend and mentor is gunned down in front of him. This causes JT to pick up the reins of his friend's current investigation, and murder and mayhem seems to abound whichever way he turns. Not only will this book appeal to those who enjoy thrillers and mysteries, but there is a great conspiracy plot running through the whole storyline. Another winner in this series though I marked it down one star as I got a little bogged down around the middle with some of the more technical genealogic stuff !! I was pleased to be able to bookmark the family tree at the beginning as I referred back to that a lot. Some of it when explained more simply was totally fascinating but when it got a bit too technical I started to glaze over. I was a tad irritated at him keep referring to Bonnie Prince Charlie as Bonny although it was correct on the fa Another winner in this series though I marked it down one star as I got a little bogged down around the middle with some of the more technical genealogic stuff !! I was pleased to be able to bookmark the family tree at the beginning as I referred back to that a lot. Some of it when explained more simply was totally fascinating but when it got a bit too technical I started to glaze over. I was a tad irritated at him keep referring to Bonnie Prince Charlie as Bonny although it was correct on the family tree. Not sure why he did that. American genealogist Jefferson Tayte is in London to attend a conference and to visit an old friend. When the friend is murdered JT sets out to find his killer, and the only way to do that is to continue the research that got him killed. With the assistance of historian Jean Summer JT begins to delve into a 300-year-old conspiracy that threatens British national security and the monarchy. Of his three novels, this one has more pure genealogy, but also more action and suspense. There are visits to American genealogist Jefferson Tayte is in London to attend a conference and to visit an old friend. When the friend is murdered JT sets out to find his killer, and the only way to do that is to continue the research that got him killed. With the assistance of historian Jean Summer JT begins to delve into a 300-year-old conspiracy that threatens British national security and the monarchy. This is the third book in Robinson's Jefferson Tayte series. Tayte is a socially awkward American genealogist. 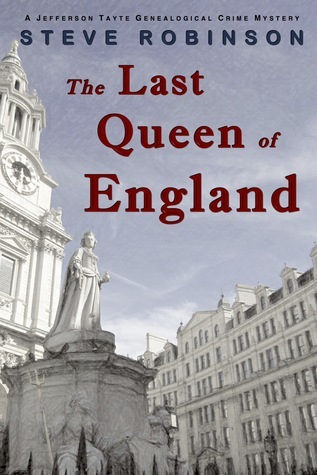 In this book he returns to London for a family history conference and catch up with an old friend, but is catapoulted into a murder mystery and quest for truth that spans 400 years of royal records. I found it gripping and couldn't put it down, so much so that I gave myself a headache. There are now 6 books in the series...yippee! I enjoyed this book and read it in a couple of days. It was fast moving and had a highly original plot. Loved the cover picture. I only managed 30 % of this one so I can't rate it. It's just not for me - too far fetched and not enough interest for me. Not my cup of tea! Jefferson Tayte's adventures make genealogy look way too adventurous! I enjoyed this book and the mystery. It was so much fun to read. I love the genealogy piece as well as the action piece. I would definitely recommend it. love love love his books... he can't write the next one fast enough! I really enjoyed this book. Lots of action, twists and turns and a good mystery. Also a bit of history and genealogy which makes it fun and interesting. my husband and I read this book together. it is the 3rd book on the series , I loved the first two but this one dragged on for in the middle to the end. He on the other head think it was great. I will read the next one bit if it loses its appeal I won't read books 5 , 6, and 7. it's a shame his writing is better then this. Robinson cites crime writing and genealogy as ardent hobbies – a passion that is readily apparent in his work.